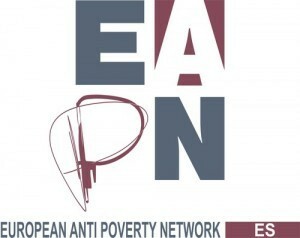 The European Anti Poverty Network (EAPN) is an independent network of non-governmental organizations (NGOs) and groups involved in the fight against poverty and social exclusion in the Member States of the European Union. It was created in 1990 by several organizations working in the European Union with people living in a situation of poverty and exclusion, and has ended up having consultative status with the Council of Europe. EAPN is a founding member of the Platform of European Social NGOs. EAPN allows for people suffering from poverty and social exclusion to exercise their rights and duties, as well as put an end to their exclusion and situation. Moreover, its main purpose it to raise both questions to the Political Discussion Center of the European Union.